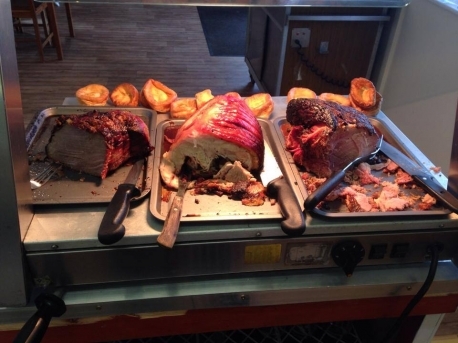 Carvery served where you want it we come to you. 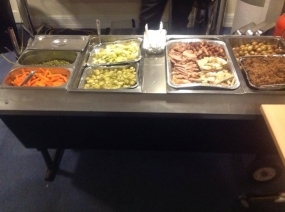 2 Hearts Catering are pleased to offer a carvery service. 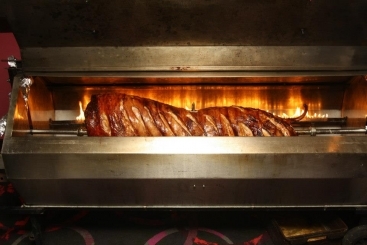 We cook the whole roast fresh on site, we supply staff to served and carve the choice of meat straight onto your guests plates. 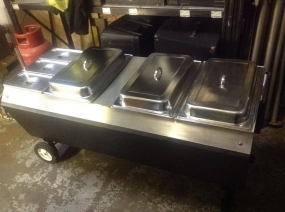 If your numbers are large enough why not add a full pig to the choice of meats available to your guests. 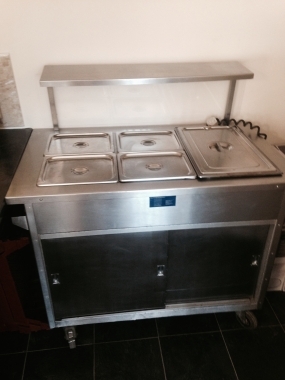 You can also add a starter and a dessert if you wanted to make the meal that little bit extra special for your guests.